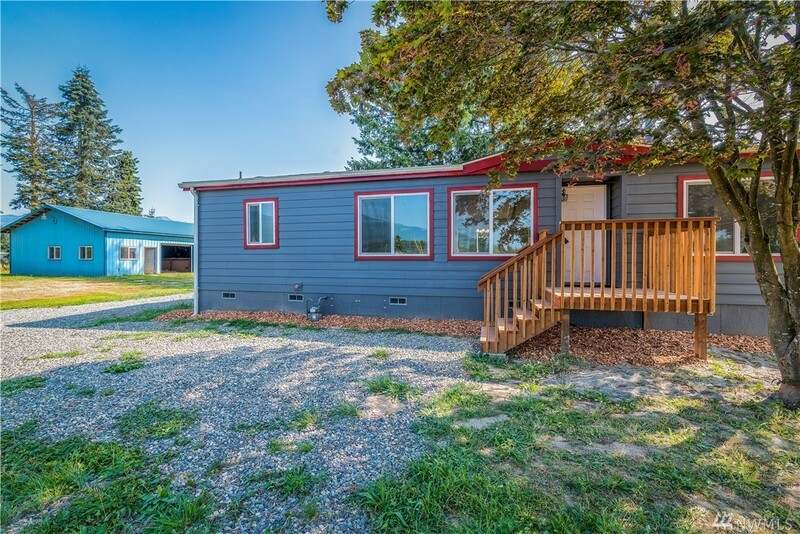 Wonderful newly remodeled home on 1.65 acres, 3 bedrooms and 1.75 bathrooms, New septic system installed 2017, as well as Hardy plank siding, new roof, and new windows and doors. Three new wooden decks, Skagit P.U.D. public water, natural gas heat, cable TV, and internet cable available. Huge shop 30ft X 48ft with water & power in the shop. the whole 1.65 acre lot has grass that is mowed with a riding lawn mower. On the edge of city limits. Must see this wonderful and super cute home ! !